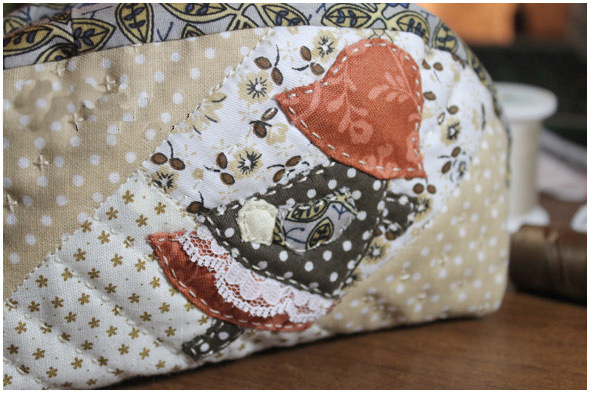 Cosmetic Bag Japanese Patchwork ~ DIY Tutorial Ideas! 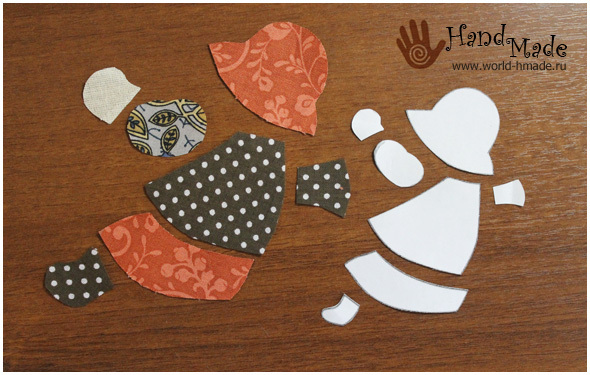 We transfer the pattern on the fabric, cut out details. 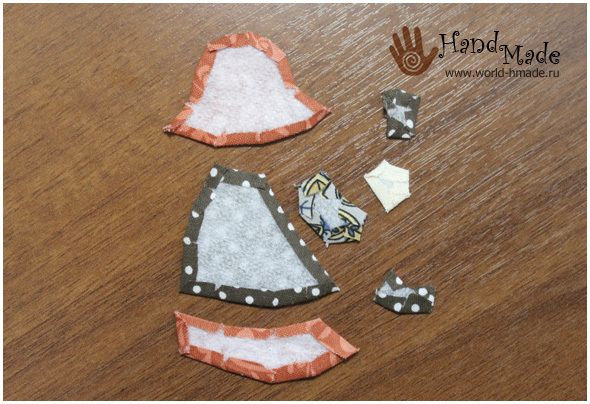 Pattern excluding seam allowance of 6 mm. 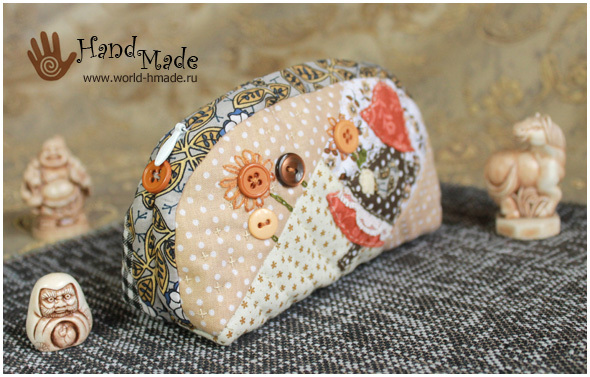 The first sew the details number 3 and №4. 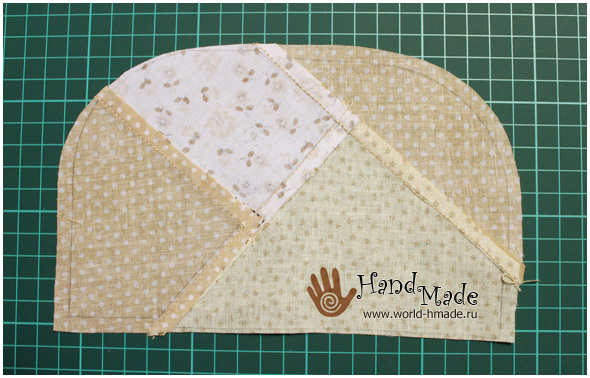 Smooth down the seam to the side parts №4. 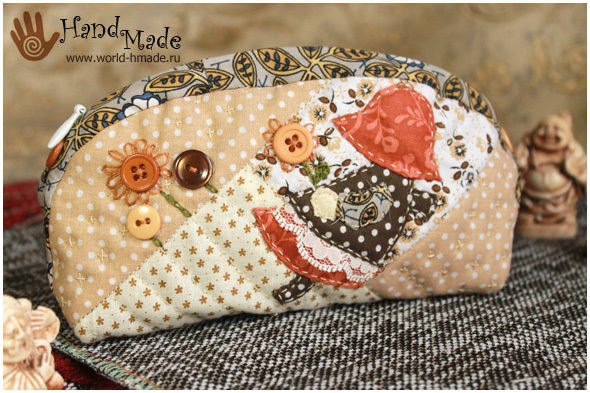 Next to the already stitched detail sew detail №2. 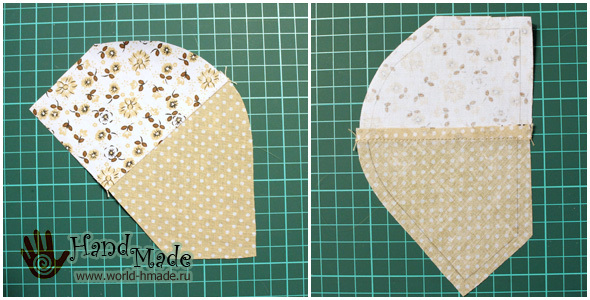 The seam is smoothed on the side parts №2. 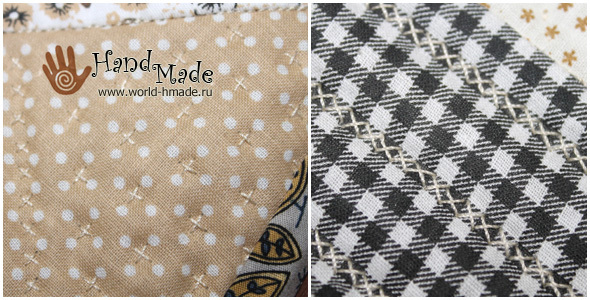 We sew detail №1, smoothing the seam on her side. 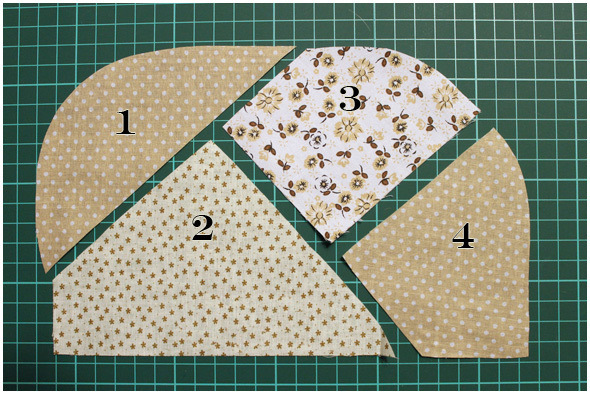 Cut out back for cosmetic bags. 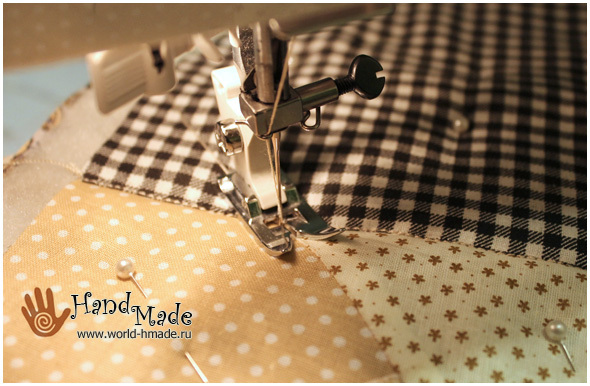 Sew together the details. 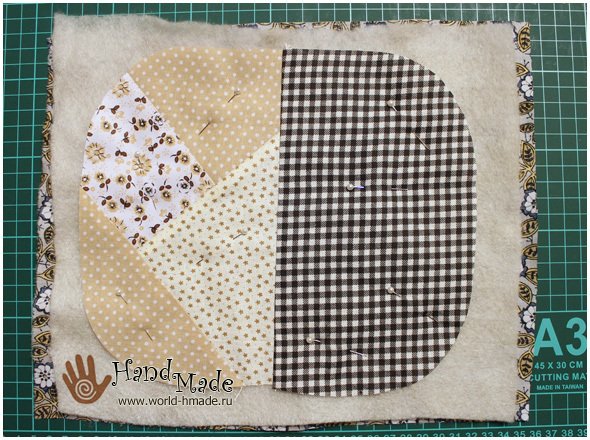 Smoothing the seam on the back side of the (checkered) part. 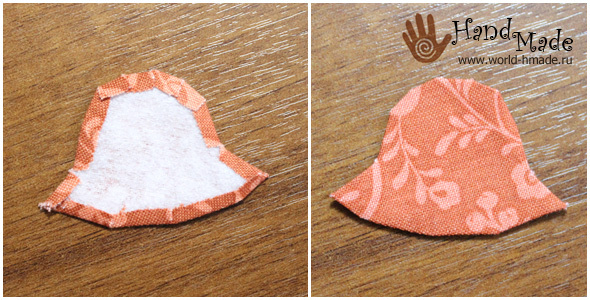 From syntepon and fabric for inner side of cosmetic bags cut out a rectangle slightly larger in size than the receipt of the item. 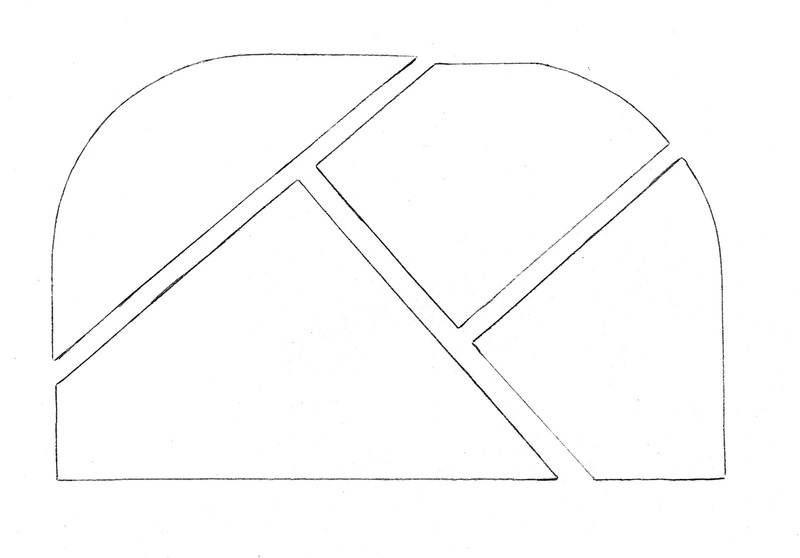 Note that the rear part of the whole put the wrong side facing you. Shear pins. 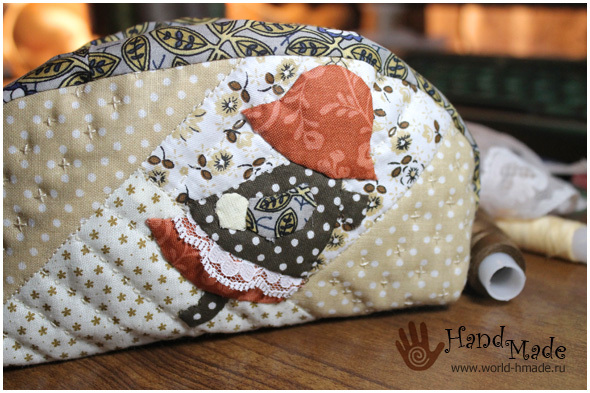 When sewing this cosmetic bags we will use mostly hand-stitch. 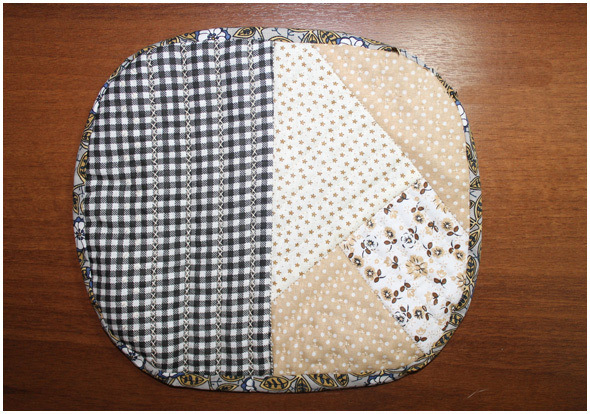 But here on the front lines connecting parts (part patchwork) quilted on the sewing machine. Next we will need to process the edge. 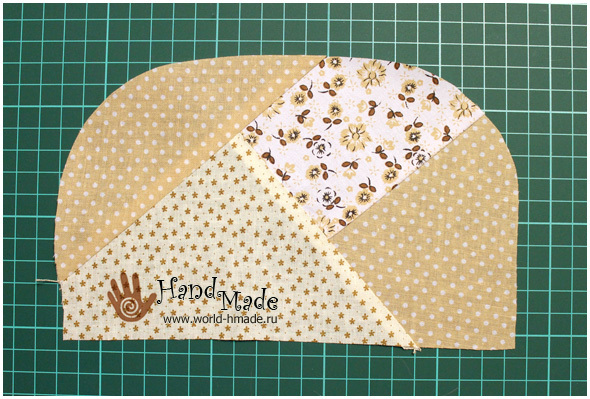 Cut the details, not forgetting the seam allowances. Usually they are in the application of 3-4 mm. 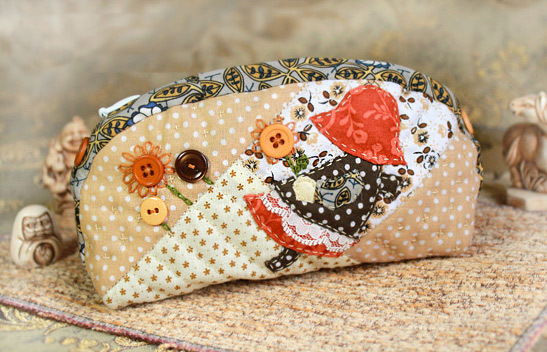 We begin to sew applique on cosmetics bag. 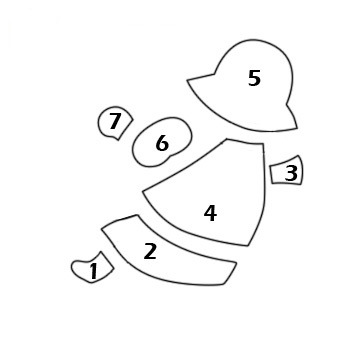 The order indicated in the diagram above. 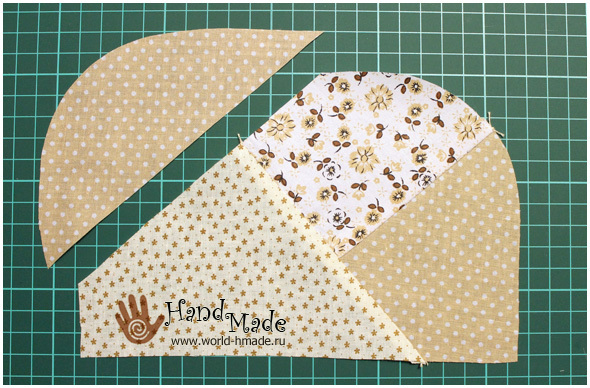 We are using hidden seam. 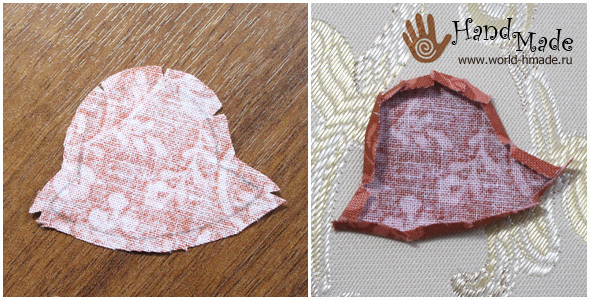 Before you sew part №3, sew a small strip of lace. 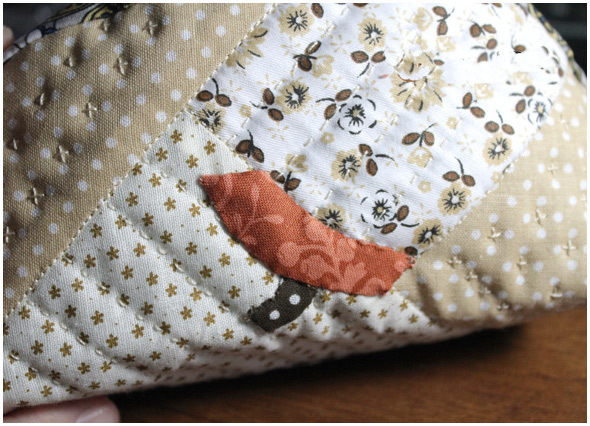 Hidden seam is not too rugged so the quilt appliqué top seam "line". 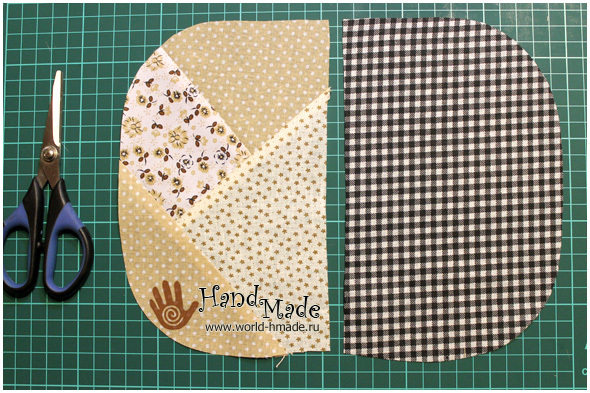 After sew applique, you can proceed to the next stage: the embroidery and decoration buttons. 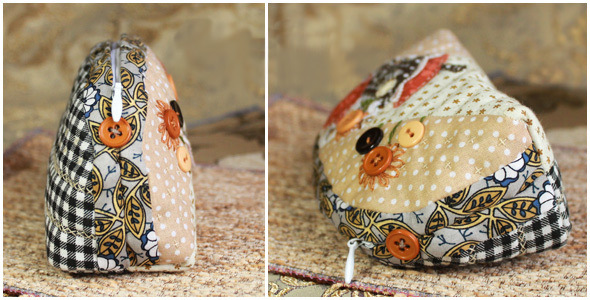 The last step sew a zipper. 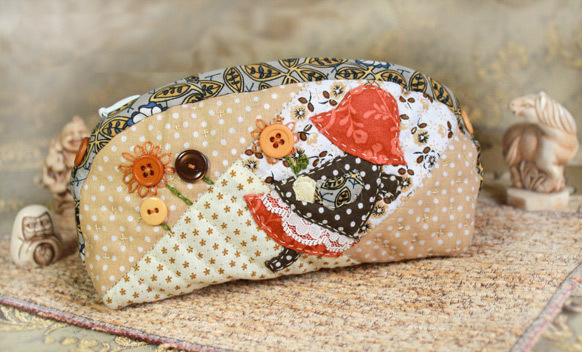 Cosmetic bag ready!